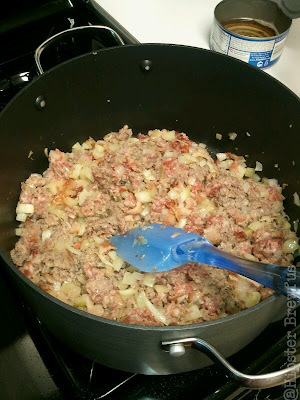 Today's post is relatively quick, easy and delicious. It's also one of my favorites. And as opposed to my last two recipes where I used dark, heavy flavored beers, I used a light flavored ale for this. 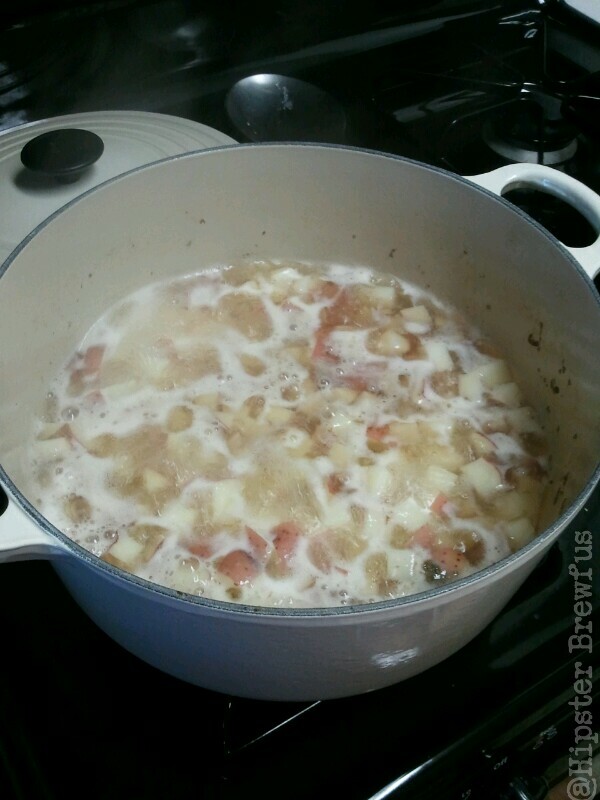 1) Put the taters, salt, pepper, marjoram, beer, and water into a pot. For this recipe, I used Horny Goat Horny Blonde. Bring to a boil, until potatoes are tender. Maybe about 20 minutes. 2) Cook bacon, set to the side to drain and then crumble. or chop, whatever Cook the onion and sausages, and drain off the excess. This, I actually do. The grease and oil doesn't seem to mix well with the rest of the recipe. Add this mixture, along with the bacon, to the potatoes, once they're ready. Have you noticed how much I love meat? 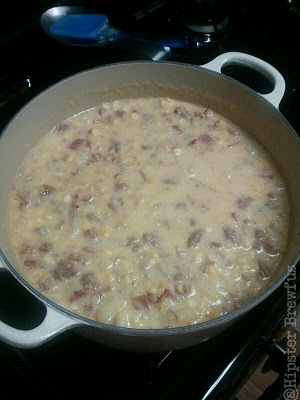 3) Stir in the creamed and frozen corn, along with the can of evaporated milk. Bring to a boil, and let simmer for about 20 minutes or so. Still doesn't look like much, right? At this point you're pretty much good to go! I hope you enjoy it, because seriously, it's delicious.